This year, the much anticipated Microsoft Ignite 2018 event brought many updates and exciting new features that will enable businesses to work better. 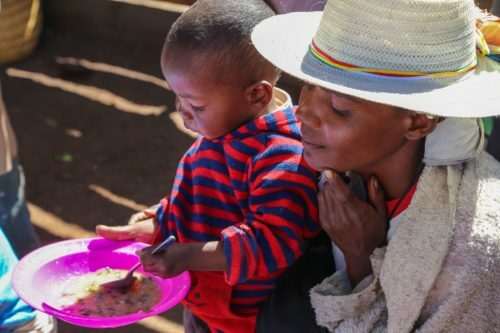 At the core of Microsoft’s business, is the statement that they want to ‘empower people and organisations to achieve more‘ and this can be achieved through technology and partnerships. This year’s conference focused a lot around intelligent cloud and intelligent edge. Every industry uses computers, and through connecting and intelligence, we can now start to capitalise on this paramount shift. Julia White (Corporate Vice President at Microsoft) stated that change is the only constant in technology, so here are a few of the latest updates and announcements from Microsoft Ignite 2018. Teams is the fastest growing business app in Microsoft history. It is used by 329,000 companies, 60 customers with 10,000+ users and 87 of the Fortune 100 businesses. There is no doubt that it is a business essential for all things communication and collaboration. Ignite announced some BIG news for Teams. 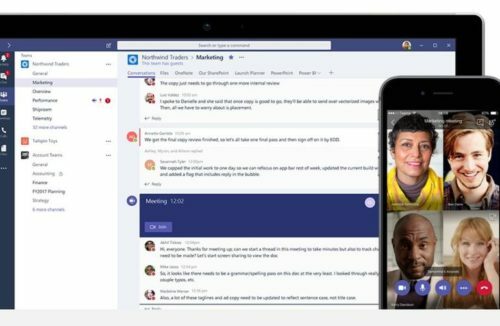 Teams is about to replace Skype for Business, therefore, a lot of the new features revolve around meeting functionalities and new ways to communicate. Background Blur – have you ever been in a video call and had distractions going on in the background? Background blur allows you to completely blur out the background to reduce distractions, leaving you in focus. Record Meetings – you will now be able to record meetings and save them for later. Recording includes video, audio and an automated transcript. Not only this, but it will also allow you to search for certain words in the transcript so that you can skip the parts you don’t need to be involved in. Tip: want to search for your actions that need to be completed? Type your name in and you’ll see where you were mentioned in the meeting. Priority Notifications – you will now be able to send urgent messages to a team member that will alert them every two minutes for up to 20 minutes until they respond. The chat will also remain at the top of the chat log regardless of incoming messages. 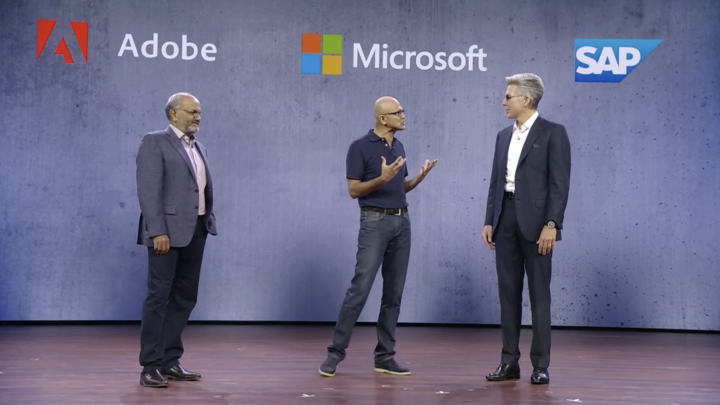 At the start of the conference, Microsoft, Adobe and SAP announced it’s ‘open data’ partnership. This new partnership is to enhance collaboration between the apps and software. It will give customers a choice of development tools and apps to build and develop services. Not only this, but companies will now be able to access siloed data to gain value and new insights. This partnership is enabled through a data lake service on Azure. To read more about it, click here. Security is a key aspect to any business, especially in the digital world of the cloud. Microsoft Authenticator – Microsoft are on a mission to phase out the password. Users will be able to log in to many different apps connected to Azure Active Directory, without needing a password. 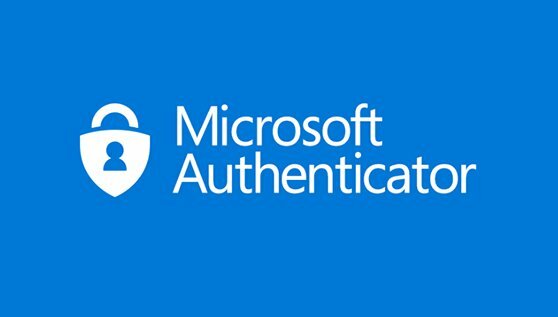 The Microsoft Authenticator app uses multi-factor authentication (MFA) meaning that there is no need for a password. MFA includes phone, fingerprint, face or pin. Microsoft Threat Protection – Microsoft Threat Protection is now replacing Office 365, Azure and Window’s threat protection solutions. This is a comprehensive, end-to-end solution that is available for Office 365, Azure and Windows. 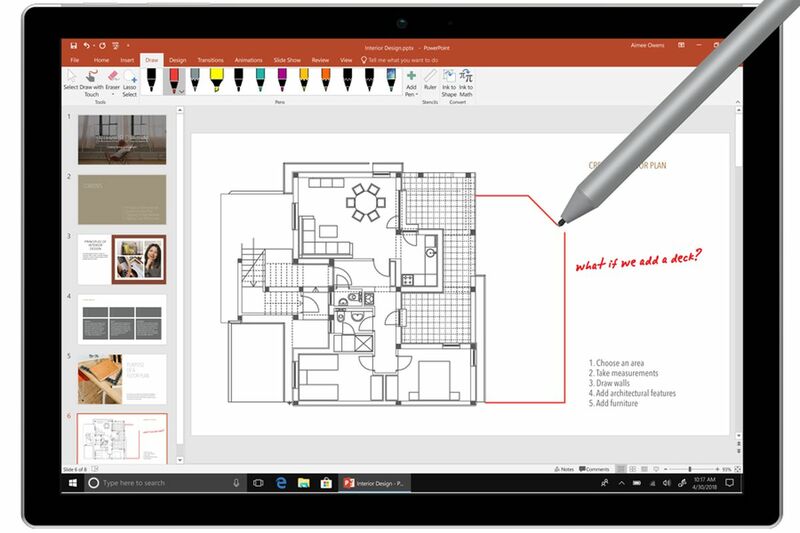 Office 2019 contains new on-premise versions of Word, Powerpoint, Project, Excel, Visio, Publisher and Access. These are one time releases with no further feature updates to come. Morphe and zoom in Powerpoint. Excel 2019 has new data analysis features such as charts and formulas. Focus mode blocks out distractions putting your ‘focus’ in a centralised position. Focused inbox clears out the clutter and allows you to see the important messages in a filtered view. Human trafficking is one of the world’s largest criminal industry. Microsoft will be using predictive analytics and bot frameworks to target supply and demand of these industries. This will consequently disrupt the criminals and bring relief to the victims. 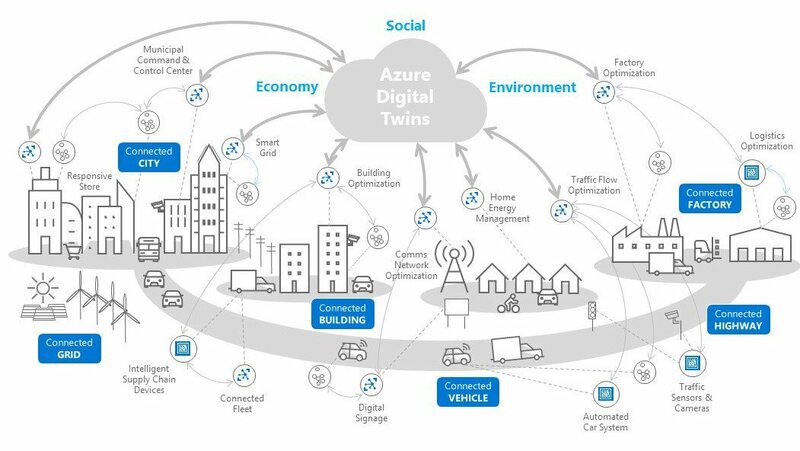 Build digital twin solutions that better serve people’s needs. Virtually replicate the physical world by modelling the relationships between people, places, and devices in a spatial intelligence graph. Create uniquely relevant experiences by correlating data across the digital and physical worlds. Discover opportunities to improve consumer experiences, create new efficiencies, and improve the spaces in which people live, work, and play. 60 Second Briefing: What is Yammer?